Thanks to this season's '70s revival, the hottest accessories right now involve retro silhouettes and neutral shades. 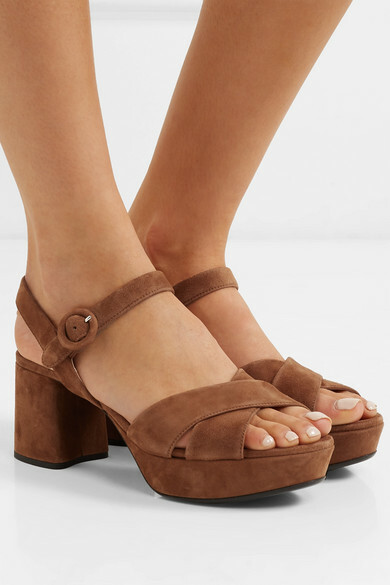 Prada's sandals have been made in Italy from soft brown suede and rest on a chunky platform sole. 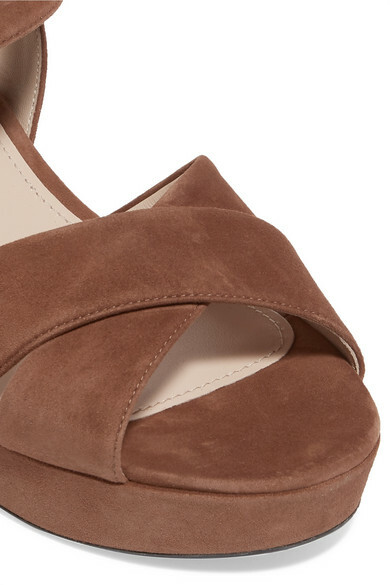 They'll look especially chic as part of a tonal outfit. Shown here with: Prada Top, Prada Skirt, Prada Trench, Prada Shoulder bag.